Lebanon – Donald and Wood Rose, right, have served New Hope Baptist Church here for 50 years. LEBANON – As a young pastor, Donald Wood expected that after 30 years in the ministry, he’d have enough sermons to last him a lifetime. But now that he’s celebrating his 50th year at New Hope Baptist Church near Lebanon, he realizes that he’ll never get to the bottom of God’s Word. Celebrating 135 years this month, New Hope Baptist currently runs about 20 people each Sunday morning, but they’ve had an active ministry through the years. In fact, New Hope planted First Baptist Church, Lebanon, more than a century ago. Wood was called to pastor New Hope in 1967, at the age of 33. And now he is believed to be the third-longest tenured pastor at a single church within the state of Missouri, according to the Lebanon Daily Record. But, he added, if a young minister interested in pastoring the church comes along, he may consider retiring. Meanwhile, he continues to serve faithfully at the church. Wood first sensed God’s call to preach in 1956 when he married his wife, Rose. For some reason, unknown to Wood, the pastor officiating the wedding asked him if he was going into the ministry. 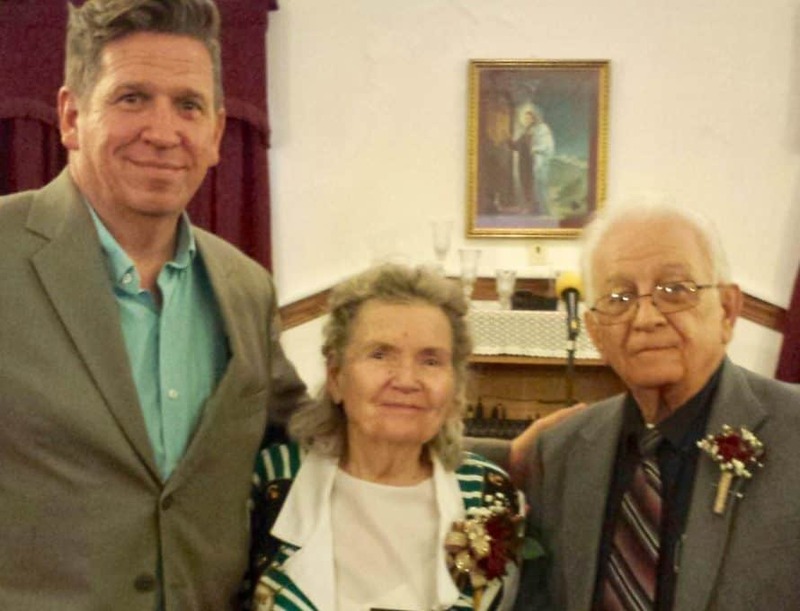 He finally surrendered to the ministry in 1965, and he thanks God that his wife has been by his side through it all. Some people have asked Wood why he’s stayed at a small country church for so many years. Others have joked that he must be aiming to win a contest. His reply to such statements are simple: He never planned to stay at New Hope for 50 years, and he’s had opportunities to move to bigger churches. But God simply hasn’t moved him. “It’s kind of like the tree that’s planted by the river. You need to take root wherever you are,” Wood said. Ministry can be difficult, and it may sometimes seem fruitless. God can uproot you and move you, but unless He does it is best to stay put, Wood said. “Stay and see what God is going to do,” he said. “Our ways are not His ways. We don’t know what God’s going to do. Let’s wait for the Lord and see what happens. You never know how He is going to work. You’ve just got to trust in the Lord. That’s what we’ve been doing. Wood said that, through the years, God has been faithful to provide, and the members of New Hope have always supported him and his family. Until 1999, Wood served as a bivocational pastor. After his heart attacks and after once injuring himself while breaking a horse, church members cared for his family. Wood has also seen many changes at New Hope through the years. Of course, Wood hasn’t been the only one at the church to change. Through the years, he’s buried members, and he’s also seen children in the church grow up to have their own children and grandchildren. New Hope’s building, which is one of the longest used church houses in Laclede County, has also changed. When Wood first arrived at the church, a potbellied stove heated the building. But since that time, the church building has been renovated. Now they have central air conditioning, a fellowship hall, a kitchen, classrooms, a pastor’s study and indoor restrooms.